Most people know what a CPA is, but when you get beyond that all the abbreviations start to run together. CGMA, CIA, CFA... unless you're in that industry, you may not really understand what each one actually represents. Plus, they vary by country so it can be hard to keep track as you begin working with other companies around the world. 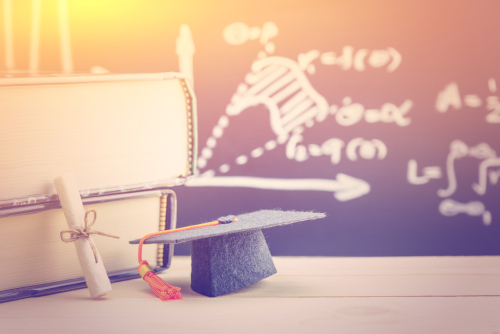 That's why we've put together a list of some of the most common accounting certifications in the United States. Arguably the most popular accounting certification, the Certified Public Accountant (CPA) license is granted by the American Institute of Certified Public Accountants (AICPA). Only CPAs are licensed by state governments to write audit reports, give opinions on public traded company financials, sign tax returns as paid preparers, and represent clients in front of the IRS, though CPAs are able to do so much more. To receive the CPA designation, you must pass four parts of the exam: Auditing & Attestation, Financial Accounting & Reporting, Regulation, and Business Environment & Concepts. They can be taken in any order, but must be taken within 18 months. (If you wait too long, you must retake the expired parts again). All four exams are offered during the first two months of each quarter, so it typically takes a year to pass all four. Because CPAs are licensed by state governments, the license requirements vary by state. Most require 150 number of college hours with certain number of hours in business & accounting (amount varies), bachelor degree, 1 year of accounting experience, and a minimum amount of CPE every year (again, amount varies). The Chartered Global Management Accountant (CGMA) certification was developed as a global designation for CPAs in business and government. The Chartered Institute of Management Accountants (CIMA) and the AICPA grant the CGMA designation. To receive the CGMA designation, you must pass one computerized case study by responding with long-form answers demonstrating your management accounting competencies, as well as be an AICPA member with three years of relevant, work-based, practical accounting experience, or an existing CIMA member. Costs are $325 plus membership for AICPA and membership in CIMA (cost of designation is included). This case study is offered four times a year, and it can take up to four weeks to receive results. For CPAs interested in working outside the United States – or even just with companies outside the United States – the CGMA designation is an excellent way to demonstrate your experience and skills. CGMAs also receive additional access to research, tools, and a global network to assist you. The Certified Management Accountant (CMA) certification is recognized globally and given by the Institute of Management Accountants. It is the certification to get if you're in management accounting, and is typically pursued after someone has already become a CPA. To receive the CMA designation, you must have a bachelor's degree and two consecutive years in financial management or management accounting. The CMA exam is designed to measure critical accounting and financial management skills in a practical way. There are two levels of the exam resulting in a total exam time of 8 hours, and it typically takes one to two years to receive certification. For anyone wanting to work in corporate accounting, the CMA is a highly respected designation to get. As an added bonus, CMA certification holders typically earn 67% more than non-certified professionals in the same industry. The Chartered Financial Analyst (CFA) certification is granted by the CFA Institute and is designed to prove your competency in portfolio management, investment analysis, economics, and professional and ethical standards. To receive the CFA designation you must pass all three levels of the exam. While the total exam time is 18 hours, it typically takes between 18 months and 2 years to complete the certification process. Once certified, you must earn a minimum of 20 hours of CPE annually, with at least 2 hours of standards regulatory, and ethics. The CFA is ideal for finance professionals like hedge fund managers, equity analysts, and anyone hoping to reach senior finance management levels like CFO. Currently the Certified Internal Auditor is the only internationally accepted designation for internal auditors, making it a must-have for those striving to become internal auditors. The designation proves your competency in internal audit areas like risks, internal control, and information technology. To receive the CIA designation you must have a bachelor's degree and two years of internal audit experience (a master's degree is accepted in lieu of one year of experience) and pass all three levels of the exam (total time of 6.5 hours). It typically takes between 12 and 18 months to complete. Ongoing CPE is required but the number varies. The CIA is the gold standard for internal auditors. The designation can increase your earning potential by up to 51% and help you advance in your profession more quickly both in the United States and around the world. Obviously this list isn't all encompassing. There are other US certifications and designations available, but these are some of the most popular. We'll be covering Canadian and EU certifications in the coming weeks, so be sure to visit us again soon.